Don’t Wait – Check the Date!Don’t Wait – Check the Date! Do you have smoke alarms in YOUR house? 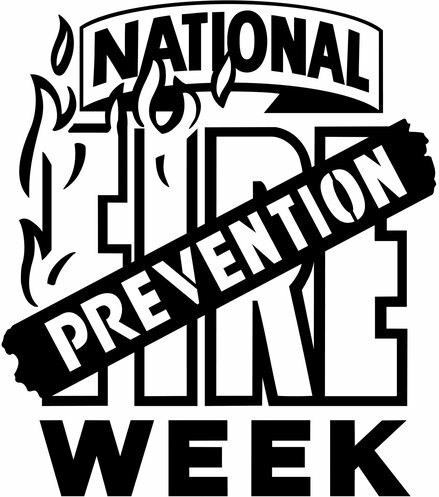 This week, running from October 9 through October 16, is National Fire Prevention Week. This year’s theme: “Don’t wait – Check the date! Replace Smoke Alarms Every 10 Years” represents the final year of a three-year effort to educate the public about basic but essential elements of smoke alarm safety. The National Fire Protection Association’s survey shows that the public has many misconceptions about smoke alarms, and that’s why they’re focusing on smoke alarms for the third year in a row. Do you know how old your smoke alarm is? FP Week was established to commemorate the Great Chicago Fire, the tragic blaze in 1871 that killed more than 250 people. 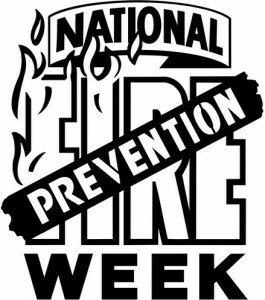 In 1920, President Woodrow Wilson issued the first National Fire Prevention Day, and the event has been observed yearly ever since, making it the longest running public health and safety observance on record. Three out of five home fire deaths happen from fires in homes with no smoke alarms or non-functioning smoke alarms. Smoke alarms are crucial elements in the early detection of fires. When a fire occurs, smoke and toxic fumes spread through a house faster than flames. Illnesses and deaths related to fires don’t necessarily happen from burns, but from the hazardous fumes that result from flames. Smoke inhalation is the primary cause of death for home fire victims. Smoke alarms provide the warning that residents need to escape their home safely. Smoke alarms are extremely low maintenance. You should be testing yours once a month, and replacing the battery once every six months. Every 10 years, replace your smoke alarm to ensure its effectiveness. If your smoke alarm ever goes off during cooking, please don’t remove it completely. Simply press the “silent” button, open a window and allow for the smoke to exit. Protect your home, your family, and your pets by practicing smoke alarm maintenance. The preventative measures you take could save a life. Call TriStar Electric for Home Fire Safety Tips Today! If you have any questions about our smoke alarm installation, please contact TriStar Electric, Maryland’s premier residential and commercial electrician, by calling 410-799-5791 or 301-384-8880. Or, you can fill out the contact form on our website. This entry was posted on Wednesday, October 12th, 2016 at 8:40 pm. Both comments and pings are currently closed.